This system is able to measure the leakage or permeation of He with leak detector through films or plate-shaped samples immediately. 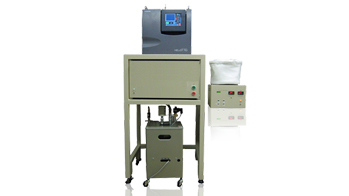 Able to test at high temperature (up to 200℃). Easy to measure transmission rate with a proprietary software in approx. 50 seconds.